When you're pregnant, you basically can't have anything fun. No booze, no sushi, no soft cheeses, and so on. But a new study at least lets you off the hook on one thing: delicious, psychologically necessary coffee. Researchers at Nationwide Children's Hospital in Columbus, Ohio, tracked caffeine consumption in more than 2,000 expecting mothers from 1959 to 1974, a period of time when more pregnant women were drinking coffee than today. They measured the levels of a chemical associated with caffeine called paraxanthine at two points during pregnancy, then measured the children's IQs at ages 4 and 7. The results, published in the American Journal of Epidemiology, should give moms a sense of relief. 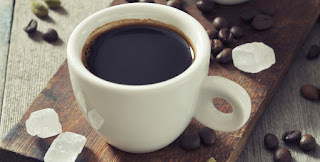 The researchers found that moderate amounts of caffeine (about one or two cups a day) during pregnancy did not result in decreased IQ or worsened behavioral problems in children. A previous study also found that caffeine during pregnancy did not boost the risk of childhood obesity, and yet another study found that there was no link between moderate caffeine and miscarriage. But don't go overboard. The American Congress of Obstetricians and Gynecologists recommends sticking to one 12-ounce cup of coffee a day or less. Also consider how much caffeine you're consuming through foods like chocolate, tea, and soda, and make sure you're under 200 mg a day. And if you're breastfeeding, keep it to two cups of joe day, max. So if you can't get through the day without a cup of coffee — ​especially if you're chasing around little ones already — ​that doesn't have to stop when you're pregnant.